Search For "E-Commerce & IT Outsourcing" Companies in Brooklyn, New York - Click Here Now! Without Ever Having To Re.cruit, Spon.sor Or Se.ll. Hundreds Per Day By Simply Placing One Small Ad A Day. 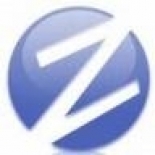 Zeek Rewards in Brooklyn is a company that specializes in Computer Related Services, Nec. Our records show it was established in New York.